Still working the sponsor contacts. Only JAZ products so far, but I must believe that others will jump on in the next few weeks. Lou at team Renezeder comes through again. A box with some really big stickers, t shirts and Carl Renezeder autographed posters. Kind of a slow start this year. Have you talked to John at Karls? Will send followup emails this week. It takes a few emails to get someones attention. 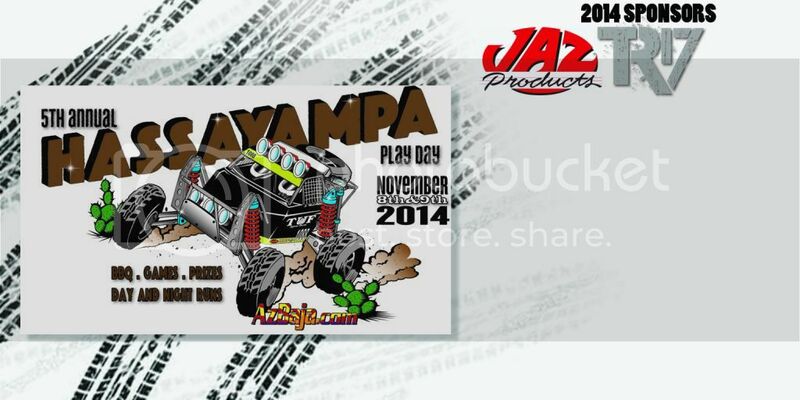 I'm planning on going either way, but it's starting to look like I might have my baja running by then. Can't wait. It is slow going this year guys. Renezeder and JAZ Products on board, but that is it for now. Hopefully we can get some other sponsors to step up and donate. 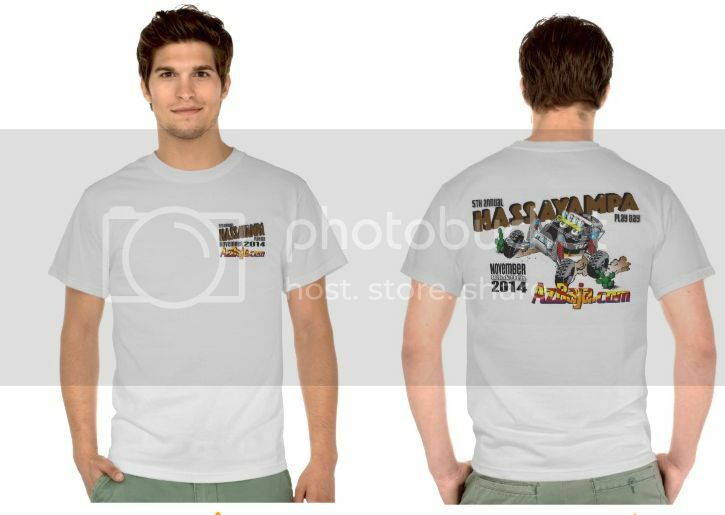 You doing shirts for this year on that T-shirt site? 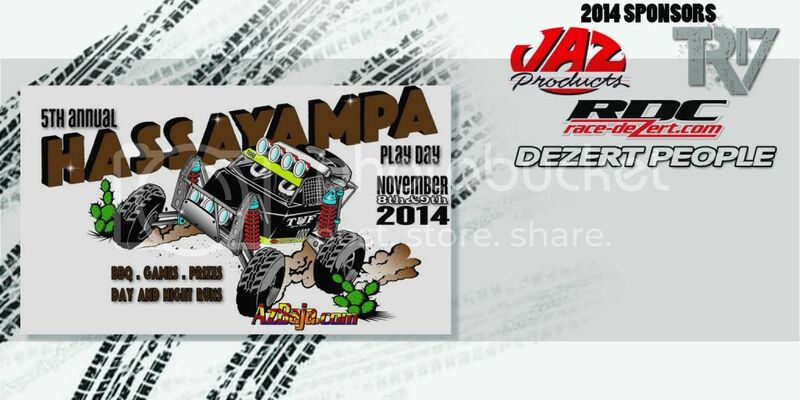 Just got an email from the RDC folks and they are on board for the 2014 play day. 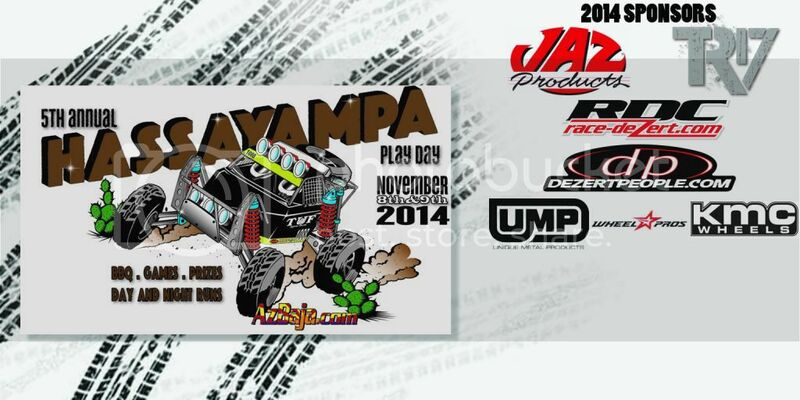 Cliff Cappos at UMP and Chris anderson at KMC Wheels/Wheel Pros jumped on board as well. Things are picking up. Heard back from Brett Carpenter at Rigid industries and they are going to send us some stuff. I will follow up when I receive the package. Last night at the DP 11 premier Curtis Guise gave me a box of DVDs, some posters and stickers. Additionally, the package from Rigid Industries and Brett Carpenter is on the way. A little less than two months away folks, get those cars ready. Posted the play day flyer on all the Facebook Baja sites today. Events and Get Togethers World Wide Official 2016 Hassaympa PlayDay Thread!